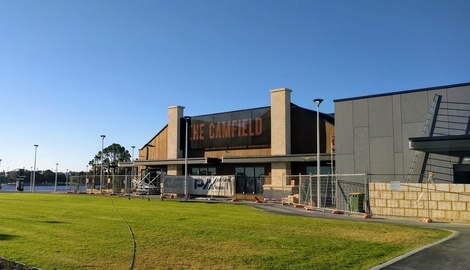 A sneak-peak at the Perth Stadium precinct reveals that The Camfield 'mega-pub' and micro brewery is still very much a construction site. 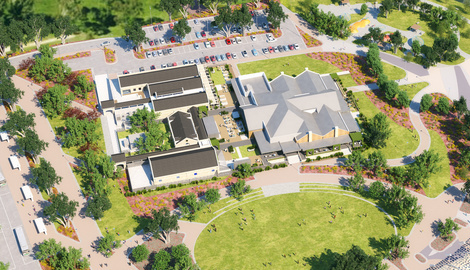 Set to open in March (still well ahead of the much beleaguered Matagarup Bridge), the venue will be able to cater to 2,500 - making it one of the largest licensed venues in Western Australia. 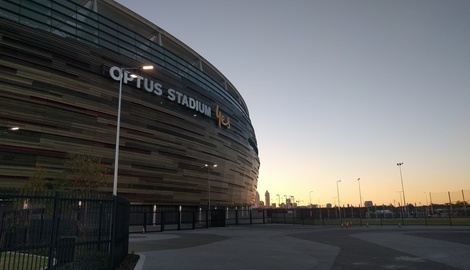 A 450ml mid-strength beer sold within Perth Stadium itself will cost $8.50, slightly higher than the equivalent at Etihad and ANZ stadiums, but slightly cheaper than in Adelaide. 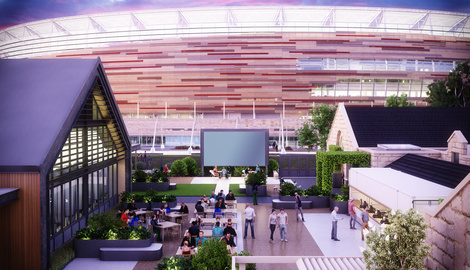 It does look like alternative options for patrons will be available in the Northern Oval area of the Perth Stadium precinct, where we noticed that Gage Roads Brewery have a banner and seating already set up. 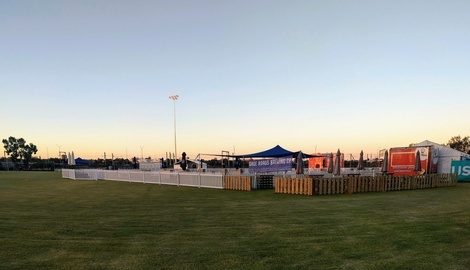 Pop-up bar Embargo (same owners as The Camfield) has currently set-up shop next to the river, on other side of Albany Highway in McCallum Park. The Royal in Claisebrook Cove, roughly a 20 minute walk over Windan bridge to Perth Stadium, is another river-side drinking option. And, of course the Crown Casino complex includes bars such as The Merrywell and Rockpool.